Need to say a big heart felt thank you? 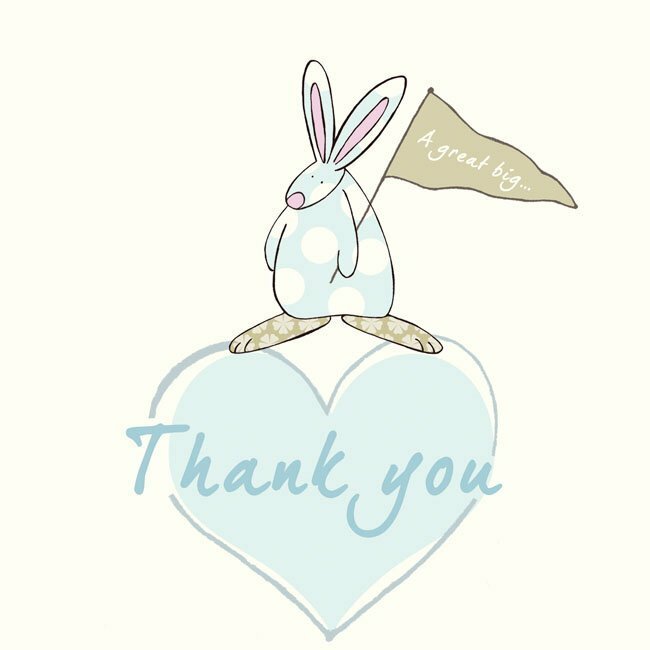 What better way to do it than with a beautiful Rufus Rabbit Thank you card? Eight gorgeous cards with envelopes. With flitter detail and a printed rabbit inside.